Harris Corp. has been awarded a $12 million contract to update a tactical radio system the U.S. Air Force uses as the communication platform for Mine Resistant Ambush Protected vehicles. The company will manufacture Falcon III AN/PRC-152A wideband networking handheld radios to provide voice and high-speed networked data to Air Force troops, Harris said Wednesday. Harris booked the order in the company’s third quarter of fiscal year 2016. 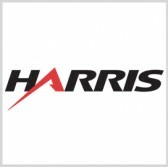 Chris Young, president of Harris communication systems business, said the company will deliver new networking waveforms to Air Force security forces, civil engineers and tactical air control party personnel under the latest order. The updated radio system will incorporate Harris’ Adaptive Networking Wideband Waveform technology.